Fairfax County and the state of Virginia expect to split up to $80 million in additional costs to widen Route 7 between Reston and Tysons over the next six years, easing a bottleneck created by other recent work along the busy corridor. WASHINGTON — Fairfax County and the state of Virginia expect to split up to $80 million in additional costs to widen Route 7 between Reston and Tysons over the next six years, easing a bottleneck created by other recent work along the busy corridor. County supervisors and the Commonwealth Transportation Board approved the agreement this week after initial bids came in about 37 percent above the initial $253 million estimate. 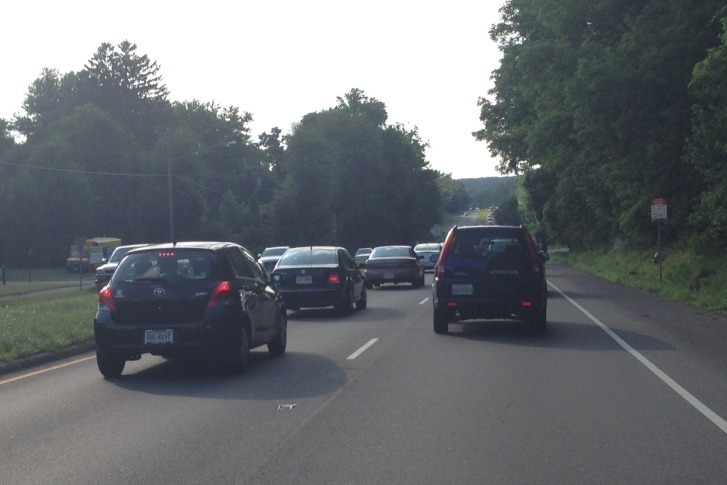 The project is among Fairfax County’s top transportation priorities, and was backed by Loudoun County in a 2016 compromise effort to address traffic jams through Fairfax for Loudoun commuters. “This project, frankly, came in with a bust,” VDOT Chief Engineer Garrett Moore said. Since the two bids came in about $95 million above the initial estimate, VDOT has been negotiating reductions in the cost and scope of the project including replacing a planned partial Baron Cameron interchange with left turn lanes and easing requirements for the location of sound walls and utilities. The reductions are expected to lead to a final contract awarded this summer that is around $60 million more than the original estimate, which Moore said was overly optimistic. Fairfax County and the Commonwealth Transportation Board approved up to $40 million each to cover the cost increase. Any increase would be split evenly between the two bodies. If the cost reductions are not implemented as part of the contract, the state’s backup plan would be to only widen part of the stretch now and put off other work until later, which could extend the time frame for construction disruptions. Moore promised tighter reviews of similar expensive projects in the future. The project will be done concurrently with a major Washington Gas line installation, and includes other utility relocations. Other cost drivers appear to be what Moore described as a tightening construction market in Northern Virginia given the many projects now underway. The widening could require land from more than 200 properties along Route 7.